Here’s the Ross Colorado LT family of reels – three in all – in a nutshell: large arbor, under three ounces (that’s for the largest model in the family) and, quite impressively, only 15 parts. This reel is as bare bones as you can get. Just out of the box, what struck me most is how much aluminum is machined out of this reel. 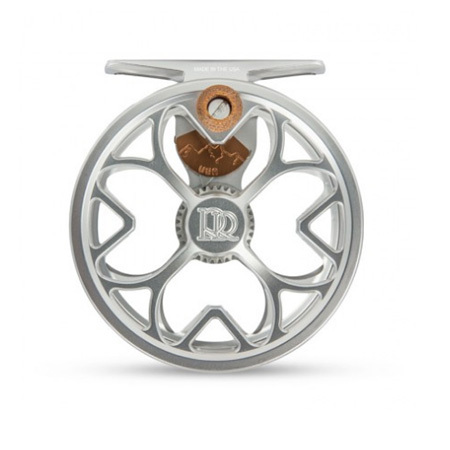 During the conception phase of the LT, Ross was undoubtedly thinking “less is more,” which is very admirable when you consider the current oversupply of overdesigned and overbuilt reels. Anyone who appreciates lightweight, streamlined reels would be doing themselves a disservice by not taking a good look at Ross’s latest offering. Even though the reel is clearly made for stalking light- to mid-weight fish, it’s cleverly designed and built to withstand some punishment. Cosmetically, the anodize is top grade. Perhaps more importantly, the Colorado LT sports a clean, foolproof palming surface and a drag mechanism that is a thing of beauty: an impressively well thought-out little gem that you’ll instinctively feel will be trouble-free. The Colorado LT comes with a lifetime warranty. Highly recommended.